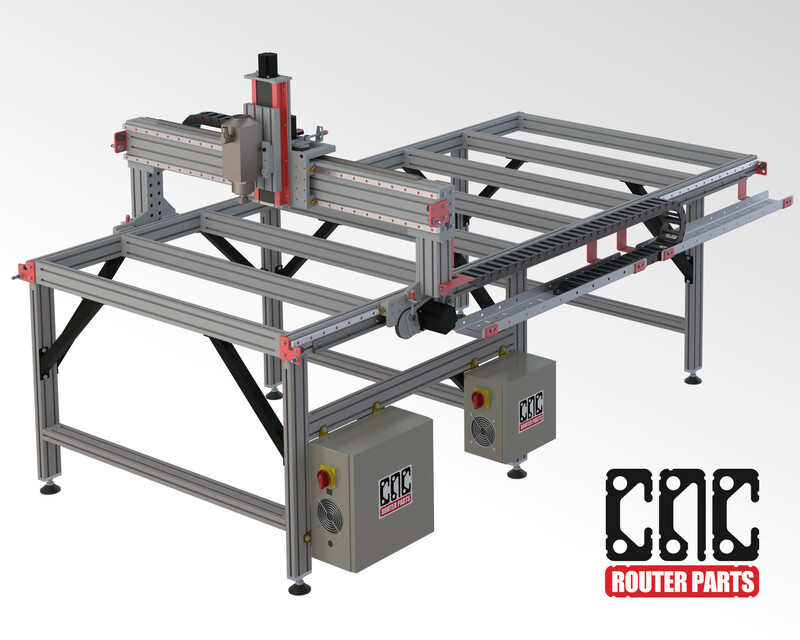 Works perfectly with our line of PRO CNC Machines - currently available in 4'x2', 4'x4', 4'x8', and 5'x10' sizes. Contact us for custom sizes. Note, leg kits are not compatible with older V-Con based PRO systems. 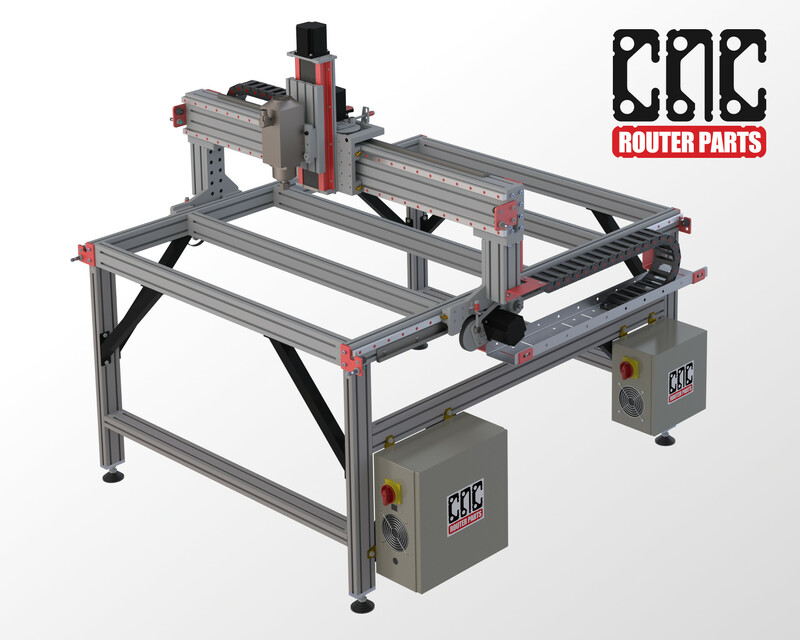 Designed to conveniently store full-width sheet goods, our leg kits have room for a shelf that can store 4-foot wide sheet goods between the legs of a 4'x2', 4'x4', or 4'x8' CNC machine, and room for 5-foot wide sheet goods between the legs of a 5'x10' machine. This product was added to our catalog on July 3, 2013.